Wake Up and Go. It was 3 o’clock in the morning on February 18, 2015 when my phone alarm went off. My eyes were still heavy but I willed myself to wash off my sleepiness. It was time to go. 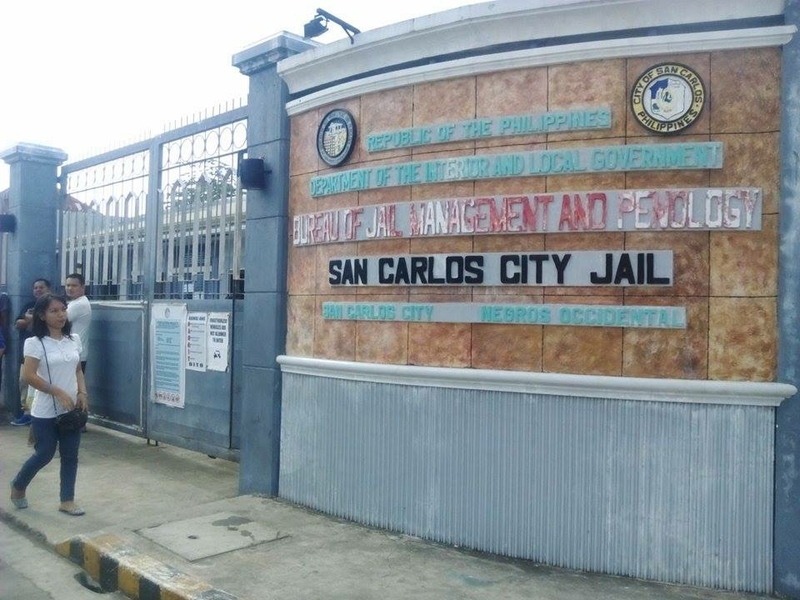 That day was the schedule for our second visit to San Carlos City Jail in Negros Occidental. 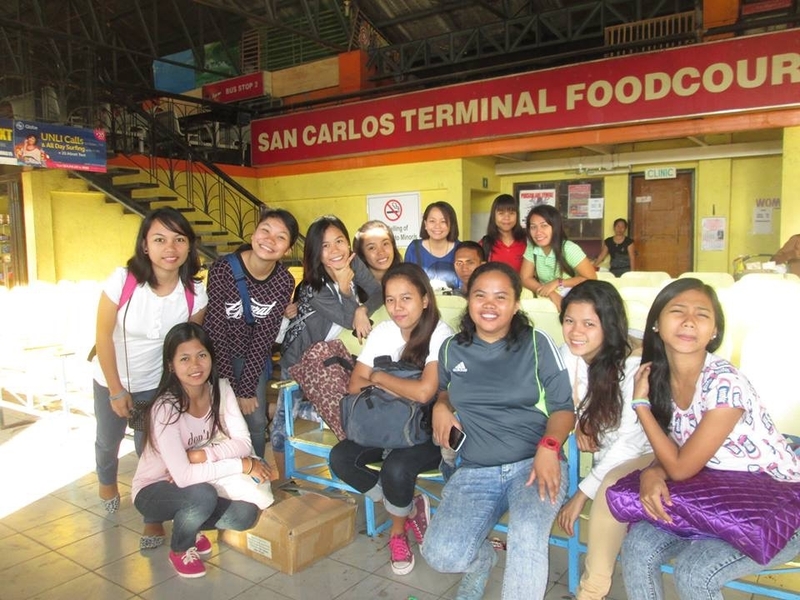 At exactly 4 a.m., I and 15 of my Inter Varsity Christian Fellowship of the Philippines friends rode the bus from Cadiz City terminal to San Carlos City. On the bus, I silently prayed to God to empty me, fill me with His Spirit so He could use me as a channel of His love to the jail inmates. After praying, I slept with a void in my heart. Bus ride for 4 hours. After traveling for four (4) hours, we arrived at the San Carlos City bus terminal and met with Eumir Villamor, IVCF West Visayas Regional director and Nerry Quijano, IVCF volunteer. We went directly to the city jail without breakfast where the police wardens warmly welcomed us and told us to wait in the sitting room for final instructions. 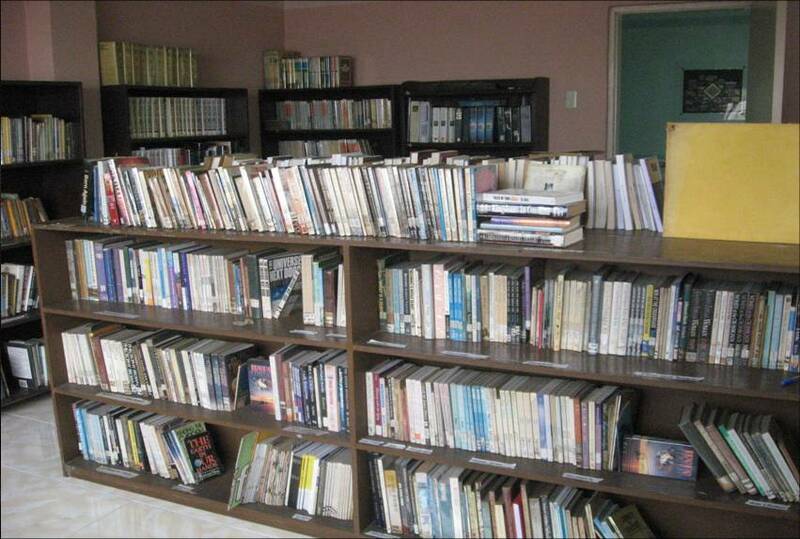 Then, we turned over the RTG books to the person in charge of the prison’s library. We prayed before going inside the jail to meet with the inmates. The warm welcome of the jail inmates overwhelmed us! I saw their eyes glowed when they saw us coming Yes, they were happy to see us come back to fulfill a promise we told them when we first went there on Christmas Day 2014. What we did behind the walls. Nerry Quijano began our short program by telling why we were there. Then, the pastor who came with us gave an inspirational message about the life of Jonah. He shared how Jonah’s disobedience to God altered the course of his life. Pastor Jun emphasized that God can do exceedingly great things through a man or a woman who is obedient to Him. He said that when one is rebellious it is impossible to hear and obey God. He added that the sin that lurks within us make us its prisoners and that we enjoy being imprisoned by sin. Doing our own way is not true freedom. It is only through Jesus Christ that there is real freedom from the prison cell of sins. I was a Prisoner too. While listening to Pastor Jun, I realized that like Jonah, I was once a prisoner of my own sin. But, through the power of Christ I experienced liberty. After Pastor Jun’s message, we sang the hymn “Amazing Love”. The void in my heart was filled with God’s love and I almost cried while singing. I realized how amazing God’s love for me is. At that moment, I just wanted to scream (literally) to the prisoners that God LOVED THEM SO MUCH that He even gave His own son to die on the Cross for their sins. God’s grace is not only limited to those who committed just a “little sin”! There is no such thing as big or small sin. 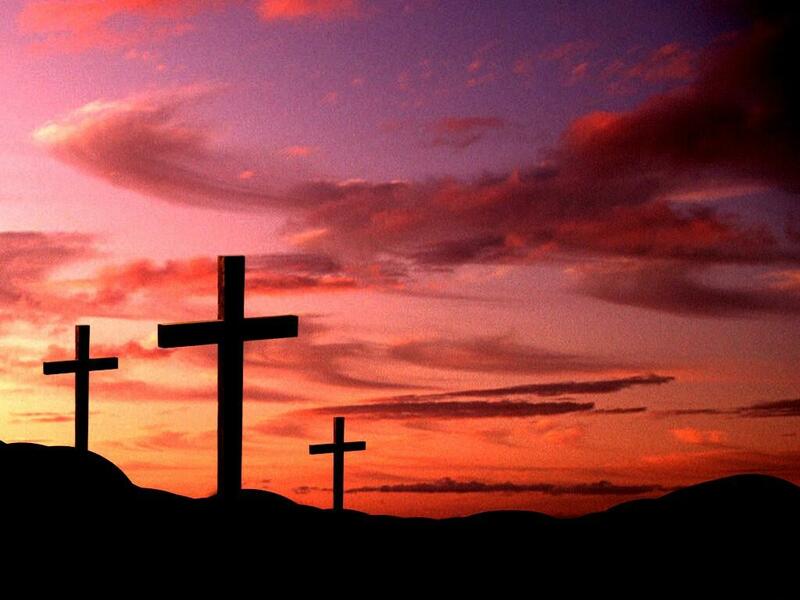 The bottom line is that Jesus Christ died for all kinds of sin. We all have a stigma about people who are in jail. We tend to loathe them by what they did. But we are all sinners. Our only difference from the inmates is that their prison cell is visible. Ours are not! But, we are all inmates in the jail of sin. A Challenge to all of us. If God was able to extend His love towards a sinner like me, then it is even possible that God can extend His love towards jail inmates. But the question is, how? How will they know that God loves them if what they receive are condemnation, disgust, rejection and loathing? I was challenged! As a Christian and a recipient of God’s immeasurable love and undeserved grace, I must respond by allowing myself to be a channel of that Love and Grace to them. It is one way to show God’s love in action! Love is the very essence of why we are called Christians. But how do we respond to it? The love that God put in our hearts has to be shared. But we must not give our love only to those who we like, but also to those who we do not like. The Holy Spirit reminded me that I, too, was guilty. My Own Story. It was my turn to speak in front to tell my story of how we delivered their letters to their families. 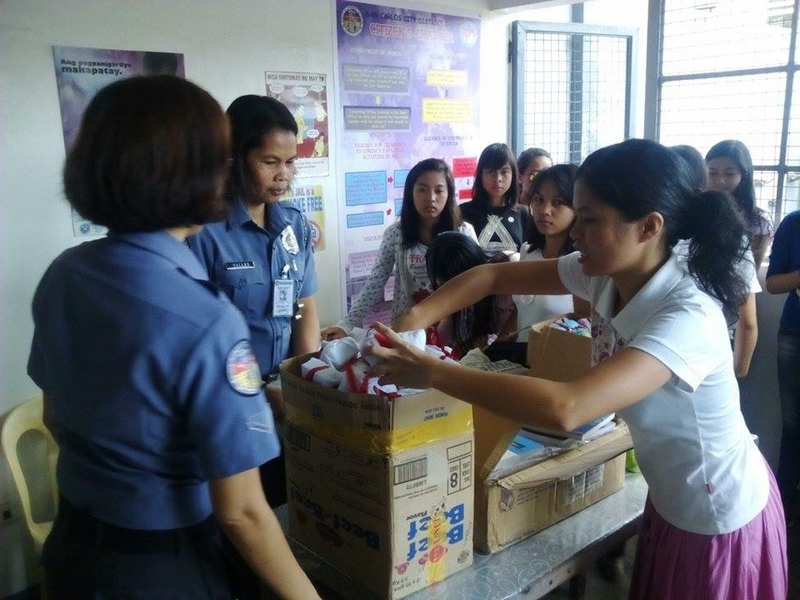 It was Liezl, Yna, Jolly and I, who were tasked, on our first visit to the city jail, to bring the letters of the inmates to their families. We decided to deliver them on Christmas Day 2014. I could not contain the happiness I felt at that time. God was able to use me as a channel of His love towards others. I felt so blessed. I emphasized that we did it not because of IVCF or because of some rewards or incentives to be given to us. 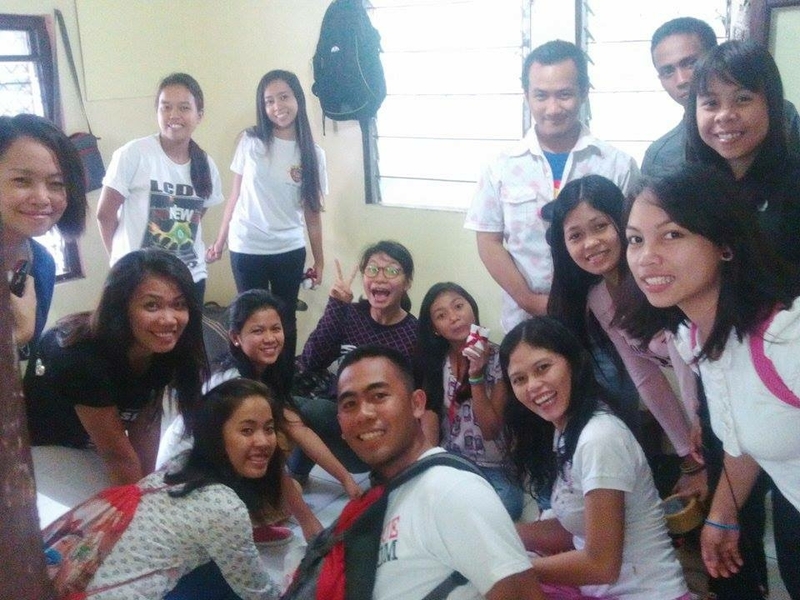 We did it because of God’s love. After my story, we went to our assigned small group. We were divided according to the cell number of the inmates. I was assigned to cell no.12. My heart melted because when they saw me approaching they recognized and remembered me. They shook my hand and thanked God for using us as an instrument to spread His love. One of my small group member said “Young Lady, thank you for willingly delivering our letters. We thought all along that it was just your scheme. Another one tapped me and said “Young lady, thank you for showing us that you are not scared nor loathe us. 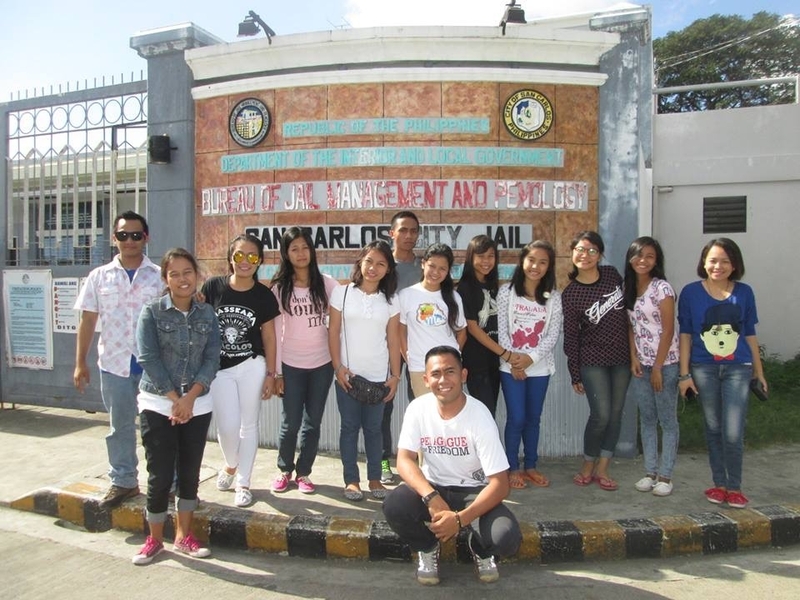 Thank you for remembering us even though our family don’t even bother to remember us.” After our 30-minute of small group sharing, Nerry Quijano called the attention of the inmates to gather again. 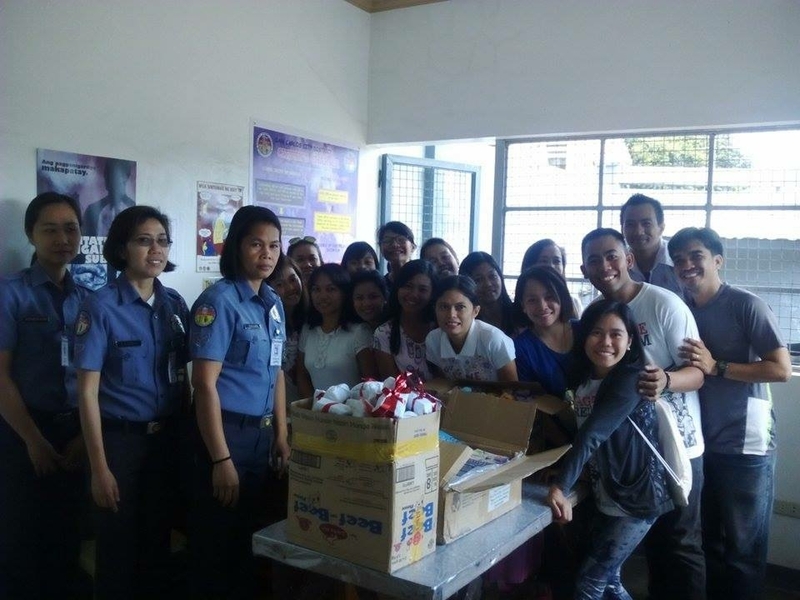 We distributed the gifts (hygiene kits) and the snacks that we brought. I praise God for giving us the opportunity to show how much He loved us through the Prison Ministry – our friends behind the walls. I also thanked God for using MEANS and IVCF for the visit to be successful. I am praying that God will cultivate the love that we have planted in their hearts. Glory to God! –Ezra Marie Edem Valiente – Third Year student, Bachelor of Science in Education – Major in Social Science at Philippine Normal University, Sagay, Negros Occidental, Philippines. She has been involved in many MEANS and IVCF projects like tree planting, distribution of relief goods in a disaster area and a family camp in Balabag Elementary School in San Carlos City Jail. 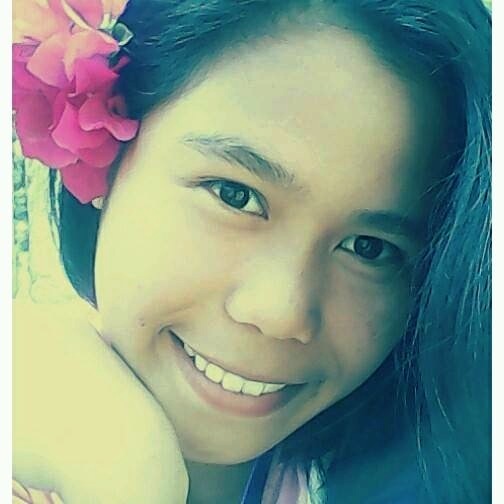 She will be attending Kawayan Camp 2015, a month long IVCF leadership training camp in Sibonga, Cebu City in April 2015.